I get it. It’s so much work in the beginning to teach kids how to clean. It is so much faster to just do it yourself. But doing everything yourself will not only frustrate you, it won’t teach them anything. 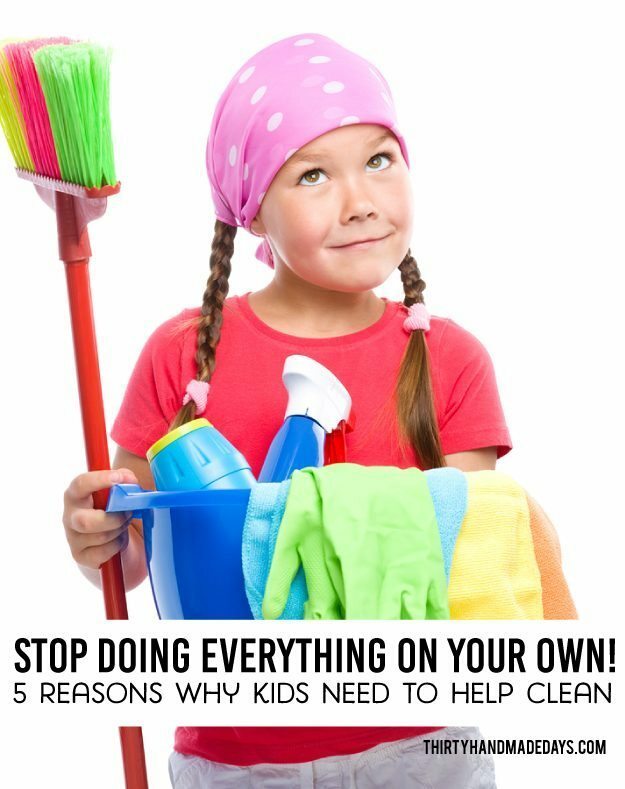 There are at least 100 reasons why kids need to help around the house, clean and do chores. Everyone has their own way of doing things but these are my top reasons for having kids pitch in. They contribute to the household. They make the messes, eat the food, wear the clothes, dirty the dishes, etc just like you do. They need to contribute with cleaning up after themselves and doing chores. They learn important skills they will use throughout their lives. This is a huge one. Home is the perfect place to learn how to do things. If they don’t learn it first at home, they will have to learn it somewhere down the line. I was just talking to one of my kids the day about how it’s no fun being an adult trying to figure things out. Teach them now so that they will be ready later. They learn to be responsible. Responsibility is key. If they know that they are in charge of something and that people are relying on them, they are much more likely to follow through. They learn the value of work. Another huge one. I think it’s a big problem with today’s generation. Hard work has been lost along the way. I don’t think anyone naturally loves to work. People learn to love it or learn the importance of it by doing it over and over. When kids know how much work goes into something, they start to have appreciation for it. They realize that when they dirty a dish, someone has to clean it. Or if they clean a floor and someone comes walking in with muddy feet, it’s frustrating. It’s hard to know what is age appropriate for each child. Every kid is so different so this is just a guideline. Some kids will be ready for more quickly, while others will struggle within their age group. That’s ok, take what works in your family and run with it. Each category builds on the previous. So by the time they are teenagers, they should know all the basic cleaning skills and chores. 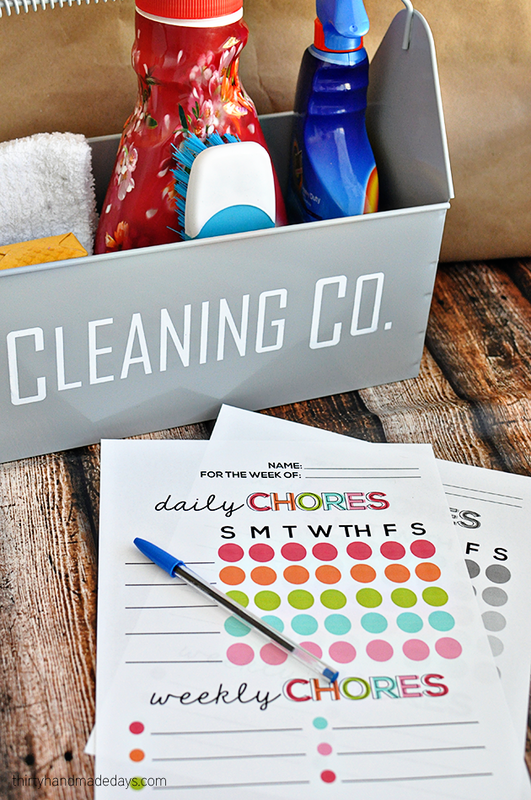 Download this printable chores by age chart. For personal use only. Thanks! Great! I always knew the little darlings COULD do these things & lord knows I wanted them to do them. Actually works GREAT for those preschoolers. HOWEVER, I suggest all parents who think their offspring WILL do these, look at THEMSELVES at any given age. That will give a small clue as to how much they actually WILL do them… Believe me I tried EVERYTHING (including sending stuff to Goodwill that I found on the floor, only giving money if they finished their chores – you name it). AND nope nope nope. Because when I was a preteen/teen – I wouldn’t cooperate either. Like mommy like daughters…. I agree kids do need to help.. I know patents that make their 8,7,6 yr old kids do all the house work will the mom sits on her bottom . The house isalways trashed with food on walls,carpet,beds in the bathroom.. The only room that is half way clean is the parents bedroom.. Yes the kids needs to clean up their mess but the parents let’s the kids do whatever.. The parents just sets on their bottoms playing on their phones .. They also have 3 other kids and one that is due soon.. These are great! 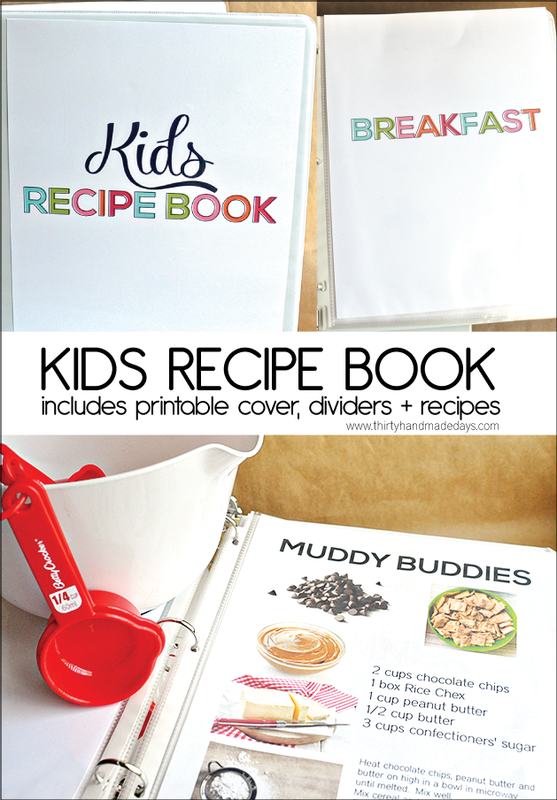 What program or site do you use to make your printables? I agree that kids need to do some chores. I had to when I was a kid. I am now the step-mother of four kids, two teens, one tween and one elementary school aged child. The kids were not made to do chores before I came along. I see this as a necessary part of instilling independence and responsibility within them. One teenager refuses and has for the last five years to participate in doing chores. I worry about her because she lacks focus, responsibility and demonstrates an attitude of entitlement. 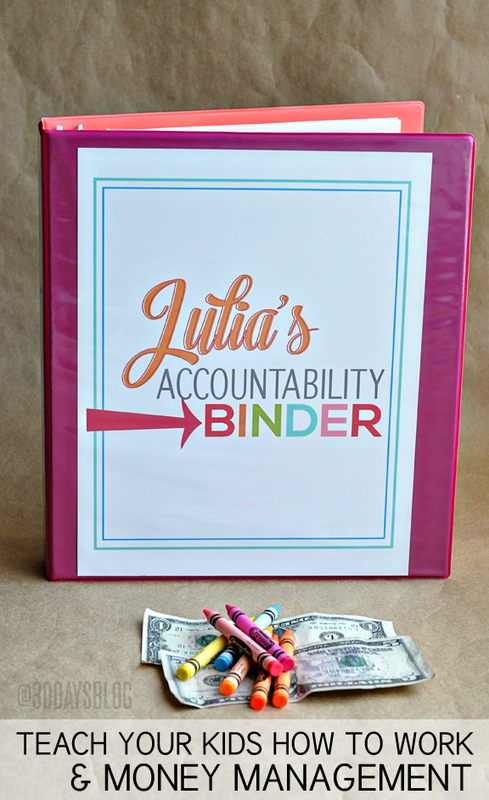 My husband and I have tried everything within reason to teach her how to be accountable to herself and make her accountable for a few household chores. She is graduating at the end of June this year and will have a shock coming when she realizes just how much she needs to learn. The others are good with chores. They feel a real sense of accomplishment when they are finished and have done a great job! Our seven year old daughter loves helping out. In fact, there are times when she’s disappointed if I don’t have something she can help with. I know some people disagree, but I believe doing some chores that are appropriate to a child’s age and abilities can even help with building self confidence. while I agree kids should do chores, I think the kids’ parents are the ones who should be discussing it between themselves, not a step parent. Clearly your husband their father had no issue to them not doing chores since they weren’t clearly doig them before they had a step mother. It’s frustrating when a step parent who hasn’t been there from day one comes along and suddenly is mother of the year and wants to change everything. Your his wife, not their mother. He’s their father and he should have been requiring chores along with the mother. Working as a parental unit would be ideal but I think outsiders should well stay outside. Let the parents parent. Stop trying to come in as a general and lay down the law. It only adds resentment. Thank god my family is together and I don’t need to worry about this conversation with a step parent to my own kids. I had a step father growing up, my parents parented together not the step parents. Sometimes the other does not want to have any thing to do with new family, and allowing one to opt out leads to resentful problem’s, or mom is causing the problem, Her princess, if she doesn’t want to help, don’t do for her! After 5 years, the stepchild has STILL not come around? That is sheer foolishness on her Father’s part. This modern day nonsense that children have rights that supersede the rights of others in the household is RUBBISH!. That child needs some serious discipline. When a man and woman get married they become a family. Grow up and get with it. Her mother is not around any more, and she has to deal with someone new. She does not have a right to make her stepmother’s life miserable any more than the stepmother has a right to ill treat her. Asking her to do a few chores is not ill-treatment; the rudeness of the girl toward her stepmother is abusive, no matter how you take it. And the father should put his foot down – he is NOT married to his daughter, he is married to his WIFE. Turn the tables on her. I had to do this to one of ours. Stop doing anything for her. Don’t cook for her, do any of her laundry, clean anything in her room, take her anywhere, let her use any of your electricity, pay for any of her gasoline, etc. Make her earn it. It takes a family to make a family. If she doesn’t put anything into the family, then she doesn’t get any of the benefits. It’s a tough lesson, but it worked. That included lunch money & all transportation. I agree – so much – about how important it is to have the children help. My personal no 1 reason is it is self empowering for the child. 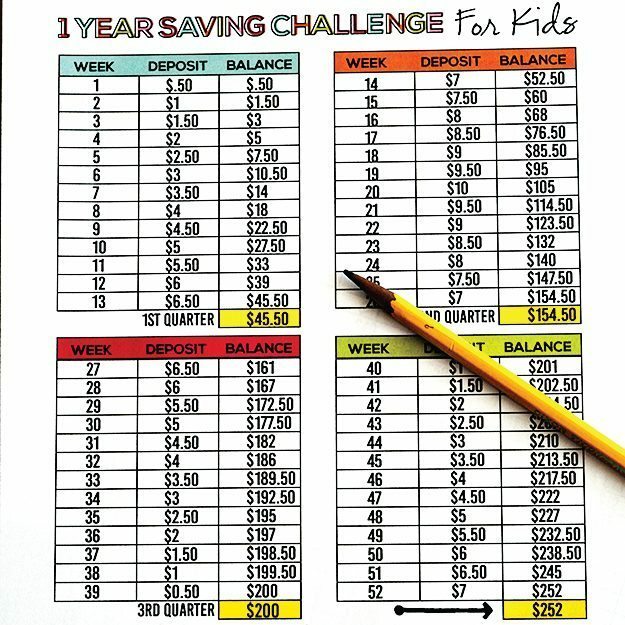 As a single mom, I didn’t have an age-based system with teaching this kind of life skills to my kids (now in their 30s). It was simply a matter of all of us pitching in and doing the work until it was done. Yes, I doled out the tasks as they got older, keeping the ones that _had_ to be done ‘my way’ until I was willing to let them be otherwise (which turned out to be when they were pre-teens). my children have been doing chores since age 2. I have 4 kids 2 of them live on there own now and I have a 12 and a 6 year old at home. My 12 year old he cooks dinner, cleans his room and does his own laundry. The 6 year old cleans her room, cleans the bathroom and takes car of the cat. They both also wash the dishes even though we have a dishwasher. My two older kids are thankful that they know how to do all these things now that they are on their own. It makes life easier with life skills and it takes the parents to teach these skills and teach them at an early age. Now do my children do all their chores perfectly, of course not but what a sense of pride they have knowing they can do it. Plus they do not get an allowance for these either. They live here as well as me and my husband so they have to contribute. This year my 12 year old started using the snow blower and has been mowing the lawn since he has been 10. As a child my mom did everything for us. Even up until I got married. I knew how, but I didn’t have to. Even when my mom was severely injured in a car wreck she hired a maid, and I was 15. I did stuff but wasn’t made too. After being married for 15 years and having 3 kids now I’m still not a very good housekeeper. It drives me crazy and I try. My house isn’t nasty just cluttered and unorganized. It is the biggest source of argument for my husband and i. We try to teach our kids better than I grew up with, but it is hard for me to stick to it. All that to say kids need to have responsibility or they won’t appreciate the things you do for them. Luckily I was taught to work hard and give my best in a workplace. Age 10 – milk 40 cows, drive tractor bailing hay and straw. Unload hay and straw. Spring maple syrup taping trees, manually carry buckets to tractor towed tank. Unload tank, fill fire box on evaporating pans. Mom who works outside the home of two preteen boys: I agree. My boys have tasks to do, and understand how their work means more parent time for them. 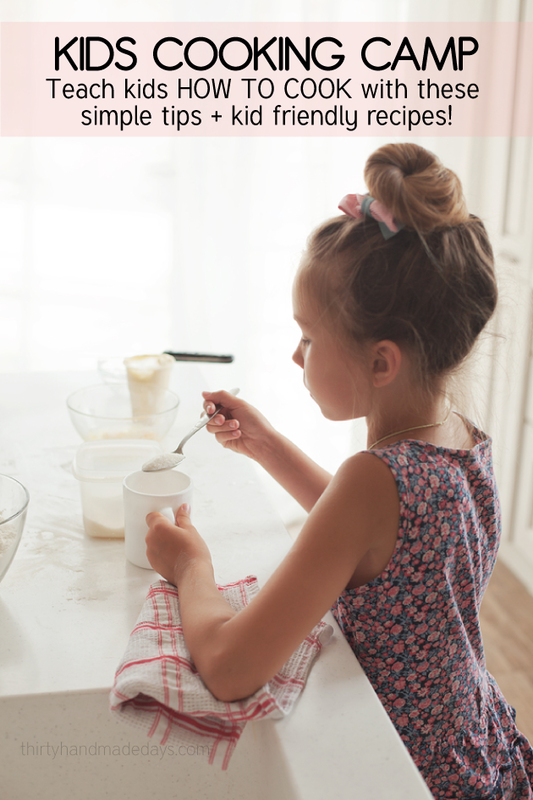 Doing chores means they become empowered and capable of doing other things. 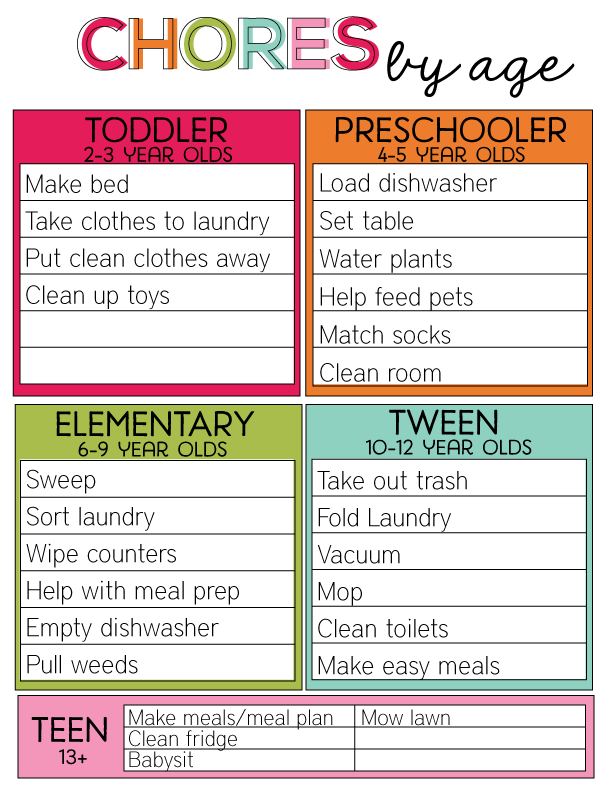 Have to say that I disagree with this chores by age idea… To some extent anyway… Tweens + – no problems; “elementary” & the rest – some issues here… Getting a 4 yo to load the dishwasher? Getting a 2 yo to make the bed? Mine were still in cots! A little common sense is needed, they are children, not slaves…. Mine aren’t Angels, but they are happy, well behaved and helpful… If that’s the worst I can expect, I’m good with that! I think it’s how you go about it. From the time my kids could understand directions I would makes games out of cleaning up toys, books, house chores. My now 4, 9 and 10 year olds love helping out and always have. I have never barked out my orders for them. I taught them how to do something new, set up a daily chart and allowance system and they love helping out! Actually my older two ask to do chores that I prefer to do myself quite often but I allow them to help me out where they can. If you start early, and start positive…they will enjoy contributing to their home. We always talk about team work here. We are all on a team together and it just works. I love this!!! I have been thinking of this a lt lately! I don’t feel I got enough inclusion in housekeeping and general everyday tasks as a child, and it took way longer than it should have to figure out for myself how to clean and cook when I moved out. Cloth, cleaner, wipe. That’s all it takes for the most part, but somehow even common sense tasks seem overwhelming if you’re not sure what needs done. I was a stay-at-home Mom while my children were growing up, and constantly heard that taking care of all household tasks was part of my job in making that decision. I was one of those parents who always felt it was easier just to do chores myself rather than harp and teach the kids to do it. It was not the right choice to make. As adults, they now detest most household chores and are lacking in organizational skills that could make it easier for them. I am now primary daycare for my two grandchildren (currently ages 5 and 3) and am doing everything in my power to enlist their participation in sharing whatever tasks they are capable of doing in a fun and positive way. We share the work, make it fun, laugh through it and feel really good about the accomplishment when it’s done. They are learning skills that raise their self esteem and will serve them well in the years ahead. If only I could go back and do the same with my own children!